Fire damage costs schools, universities and education authorities millions of pounds for the repair of buildings — and in compensation, if there have been casualties or fatalities due to Health and Safety failings. The level of risk can be reduced by a common-sense approach to PAT (Portable Appliance Testing) inspections, partnering a respected company with technicians who are highly qualified and experienced in both electrical compliance and the specific demands of the education sector. It is estimated that there is more than one fire a day in schools (source: Chief Fire Officers Association). Although not all of these will be due to faulty equipment, an electrical short circuit or power overload can cause a fire or explosion with devastating effect — not to mention the potential for electrocution. Ross Maddock, Operations Director of Hawkesworth Appliance Testing, explained: “Fire or other accidents caused by defective or counterfeit electrical equipment can prove costly, both financially and for a school’s reputation, not to mention highly disruptive to the learning environment. Ensuring pupil, student and staff safety is not only one of the primary considerations for schools, colleges, academies and universities but it is also a legal responsibility, and regular testing of portable electrical appliances should be a crucial part of any educational establishment’s code of practice. There are additional requirements for suppliers to educational bodies: DBS certification is mandatory as testing technicians will potentially be working in close proximity to students. 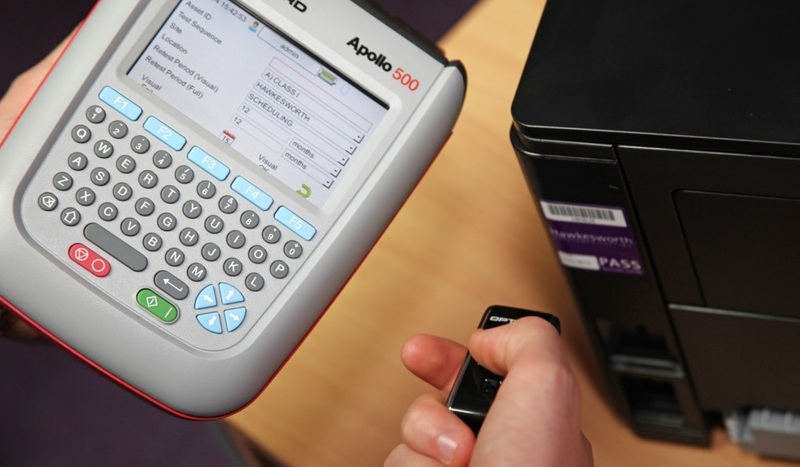 Hawkesworth’s technicians, who have enhanced DBS verification, provide a full check of all a school’s portable appliances, looking for counterfeit goods and tell-tale signs of potentially hazardous faults such as physical damage, non-standard cable joints, loose connections, missing screws, overloading of sockets and over-heating, amongst other faults. The company is fully accredited to ISO9001/ISO14001 and BS OHSAS 18001 and can provide out of hours services as well as ID labels backed up by full asset register and certification. Portable electrical appliances inspected include mobile phone chargers, kettles, microwave ovens, vacuum and floor cleaners, extension leads, heaters, air-conditioning units, televisions, laptops and even powered tools such as electric drills. Technology-based items such as photocopiers, printers, fax machines and desktop computers should also be tested. PAT Testing is a necessary part of Health and Safety policy in educational establishments to help reduce risk of electrocution. Employers have a legal responsibility to comply with the provisions of HSE regulations and take reasonable, practicable steps to ensure that no danger results from the use of portable electrical equipment. Partnering a national, reputable company can also generate administrative and cost efficiencies: the company’s experience in the education sector means it can provide bespoke quotations at a sensible and sustainable price, delivering genuine value for money and ultimately reducing stress for site managers or facilities teams tasked with keeping their places of learning functioning safely.